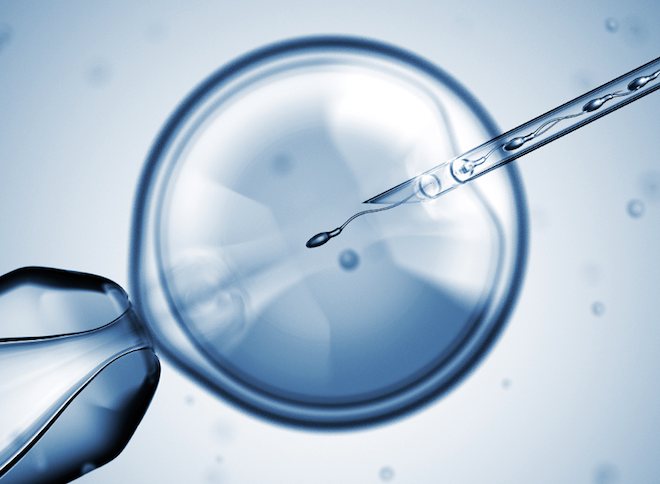 Intracytoplasmic Sperm Injection (ICSI) is a technique that injects a single sperm directly into an egg outside of the uterus. This procedure is indicated for men who have extremely low concentrations of sperm, whose sperm have failed to fertilize eggs in previous cycles of IVF, and who have a complete absence of sperm. In such a scenario, sperm must be retrieved directly from the testicle using a procedure called Testicular Sperm Aspiration/Extraction (TESA/E), and then injected into the egg outside of the uterus. The procedure is performed under a microscope. An embryologist stabilizes a mature egg that has previously been extracted. From the opposite side, he uses a thin micropipette holding a single sperm to pierce the egg and direct it towards the inner part. Following the procedure, the egg with the injected sperm is cultured in the embryology lab and checked on the following day for signs of fertilization. To learn about ICSI at RMA of New York, please contact us, or make an appointment.